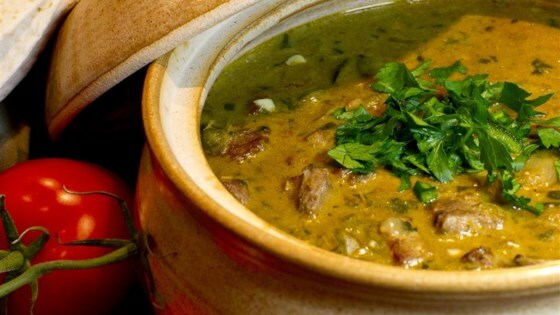 "Green chili is a Colorado favorite, it's always a crowd pleaser when we have out-of-state visitors. Roasting your veggies first gives this recipe a deeper level of flavor. This can be served over rice as a main course, stuffed in enchiladas, or over potatoes and eggs." If you prefer a hotter chili, leave seeds and membranes in the Anaheim and jalapeno peppers. Using half a 12-ounce beer leaves 6 ounces for the chef! This is the authentic recipe I was looking for, none of the others get it!! Love you!